You don’t have to kiss a frog to get an unsightly wart. Those ugly little bumps easily spread through contact with the virus that causes them. Embarrassing and sometimes painful, they can linger for weeks or months. 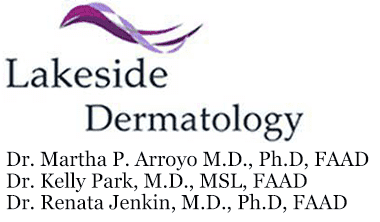 At Lakeside Dermatology offices in Gurnee and Libertyville, Illinois, Martha Arroyo, MD, PhD, FAAD has several effective ways to remove warts for good. Schedule your appointment to learn how you can be wart free – often in just one visit. Warts are small, hard skin growths caused by a virus. After the virus infects the top layer of skin, the skin overgrows, creating a bump, or wart. Warts can appear anywhere on the body, but they most commonly show up on the hands and feet. Without treatment, warts can take weeks, months, or even years to disappear. Warts vary in shape and color. They can be flat and smooth or round and rough. They’re usually painless but can be uncomfortable in spots like on the bottom of your foot or hand. Human papillomavirus (HPV) causes warts. HPV enters your skin through a cut or scrape and causes an infection and a wart. You can come in contact with HPV quite easily just by sharing personal belongings with someone who has it. You can also spread HPV to yourself by touching an infected wart before touching another part of your body. Because warts can take months to develop from underneath the skin, you might not see a wart until long after your exposure to HPV. Young children and people with compromised immune systems are more likely to get warts. Dr. Arroyo can usually tell if you have a wart just by looking at it. In some cases, she may also choose to do a biopsy on it. You don’t have to hide your hands any longer. Dr. Arroyo can remove your wart quickly and painlessly after you call for an appointment.